In early 1927, mere months after its official certification, the U.S. Highway 66 Association formed and launched a brilliant marketing campaign that forever branded the old double six as the Main Street of America. This was followed with the establishment of an annual convention. At these conventions the business of Route 66 was conducted. At these conventions the seeds were sown for the transformation of a highway into an icon. Perhaps the most famous of these conventions took place in Elk City, Oklahoma in 1931. It is estimated that an astounding 20,000 people attended. In the era of the Route 66 renaissance the first incarnation of these annual conventions was a small event that took place under a rented tent in a field at Lanergin Texas on October 11, 1997. Hosted by the National Historic Route 66 Federation it was a rather simple celebration of Route 66, its colorful heritage, and the people that ensured this amazing old highway was infused with an infectious enthusiasm. When Michael Wallis, the author of Route 66: The Mother Road, spearheaded the establishment of the Route 66 Alliance and took on the responsibility of organizing the annual events, they mushroomed into full blown extravaganzas. Missing, however, was the business of Route 66. That changed with the 2014 Route 66 International Festival in Kingman, the last event sanctioned by the Route 66 Alliance. This event represented an historic turning point. 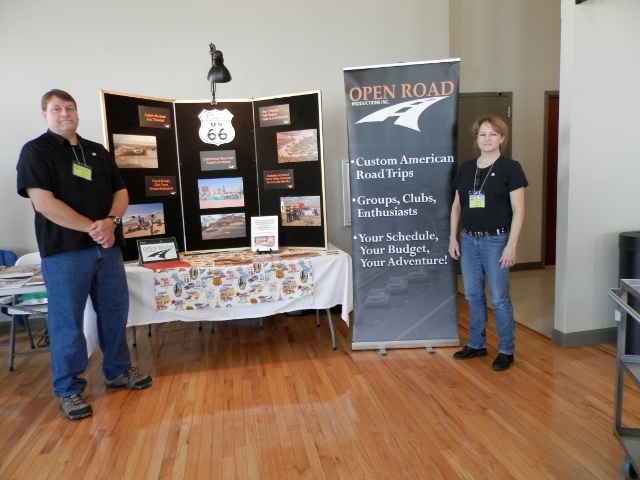 Once again the business of Route 66 was an integral component of the annual events. This included a conference with representatives from European Route 66 Associations, and the establishment of the Route 66 Electric Vehicle Foundation. It was quite fitting for the festival to have a “crossroads of the past and future” theme. The evolution of the modern Route 66 convention continued with the recent Miles of Possibilities Conference in Edwardsville, Illinois. 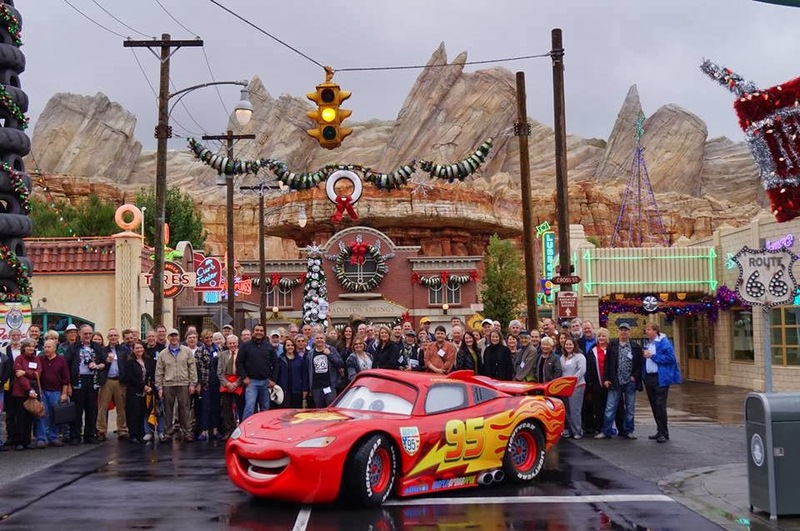 In addition to presentations by a diverse slate of Route 66 experts and innovators, and workshops, enthusiasts enjoyed the festivities that they have come to expect from such events. The next step in the development of an annual convention will take place on November 11, 2016, at the highways original western terminus in Los Angeles. This is rather appropriate as it is also the 90th anniversary of Route 66. There is now only one component missing; an entity that can serve as the modern equivalent of the U.S. Highway 66 Association, an organization that can coordinate events such as the annual conventions and conduct the business of Route 66. Two years ago the World Monuments Fund and the National Park Service initiated establishment of that organization with an unprecedented conference in Anaheim, California. This led to the creation of a steering committee, and a meeting in Albuquerque to develop a mission and goals statement. In the international Route 66 community there were questions, piqued interest, and concerns, but overall there was guarded support for what was then known as the Route 66: The Road Ahead Initiative. Surprisingly it wasn’t the glacial speed of development that garnered the most vocal opposition, that came from self serving interests. Shortly before leaving for the conference in Edwardsville a number of details pertaining to establishment of a representative board of directors consisting of members from Route 66 associations were resolved. I am rather confident that we should have an organization quite soon, perhaps before the end of the year. The business of Route 66 has a great deal in common with the making of sausage. Most people prefer to enjoy the end result rather than participate in its making, or even watching the process. Even though I am quite honored to be a part of these historic events, I fall into the later category. However, in recent years I have allowed myself to be pulled ever deeper into the politics, the inner workings of the modern incarnation of the old double six. With all honesty it is not something I particularly enjoy. The hours long meetings, the behind the scene negotiations, the glad handing, and in some cases, the hostility or faked show of support, are something I avoided like the plague until quite recently. On more than one occasion I have questioned just what exactly has compelled me to do this, to get involved and to volunteer so much time as well as energy. Then I set out on the road and meet with friends, talk with business owners, and visit with travelers over a picnic lunch or cup of coffee. The Route 66 community is truly special. Its culture, its history, and the people that give it a passionate vibrancy are unique. If all of this is to be preserved for a second 90th anniversary celebration there is a need to address the business of Route 66 at all levels. From motel owners to authors, from mayors and association members, from the individual Route 66 enthusiast to the archivist we all have a role to play in the business of Route 66. Superb points, Jim! I am, and will largely remain, a simple Rt 66 supporter and traveler. I'm not into the behind-the-scenes politics. But a National Body could do so much to ensure the Road's survival. I hope all the preparations and machinations bear fruit as we head into 66's 90th year! Thank you for all the time and effort you put into making Route 66 a “place to be” and not just a memory, a survivor of man's good intentions. Your work is appreciated.